I had an amazing day yesterday, mentally and physically. I still feel the tingle of positive vibes. It has been a while since I felt this way, to give an example, four days prior I was a physical and mental blob, with the wonderful care I received from my partner, I felt a little better by the end of the evening (thank you, Patrick) but I was not myself (allergies hit me and my body falls off balance). It was not just the allergies, they were definitely the spark that brought me down but for about a month or so I had been trying to get myself back into focus. A mental illness does not define you, it is something you have but it is also something that can be dealt with, if you’d like to learn about my story I welcome you to read my story and how I dealt with and continue to deal with ADHD and an eating disorder. However, across the globe in big urban areas – the man-made concrete jungles – we are finding an increase in mental health issues. The fast-paced lifestyle, poor dietary choices and habits, as well as environmental toxins and other pollutants, put a damper on the immune system, digestive system and the mind. This great imbalance that the body experiences is often reflected in one’s mental health and well-being, which is represented as depression, anxiety, ADHD and other mood disorders. 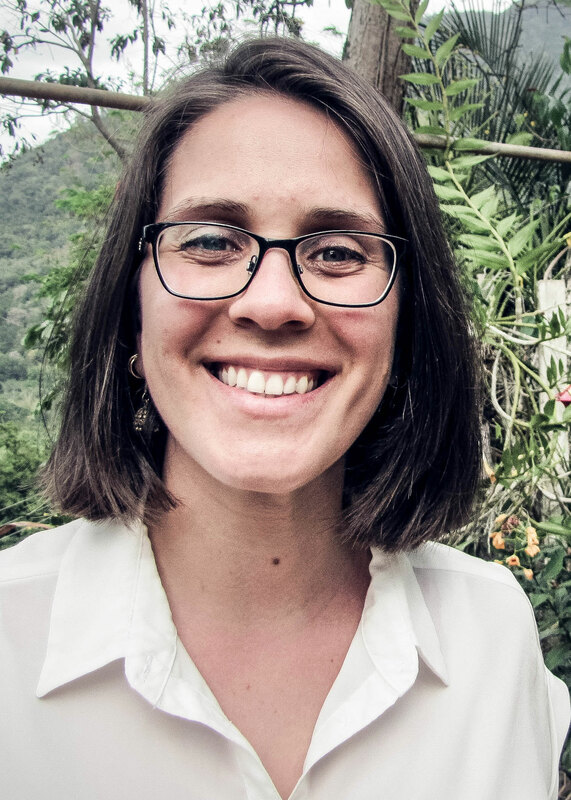 The lack of green spaces has been directly reflected in a correlation with a decline in mental well-being and less opportunity to recover from metal stressors. 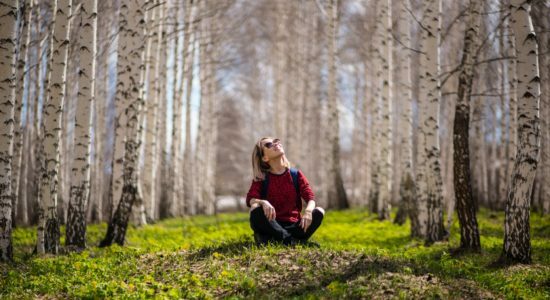 Terms such as green exercise are coming about, even the Japanese practise of forest bathing known as shinrin-yoku is finding its way into western countries. Green exercise involves exercising while you are surrounded by nature and wilderness, Shinrin-yoku or forest bathing, on the other hand, involves calm meditation in the silence of a deep forest. This is far easier when you are living in a rural area or if you travel to a conservation area outside of a big city. 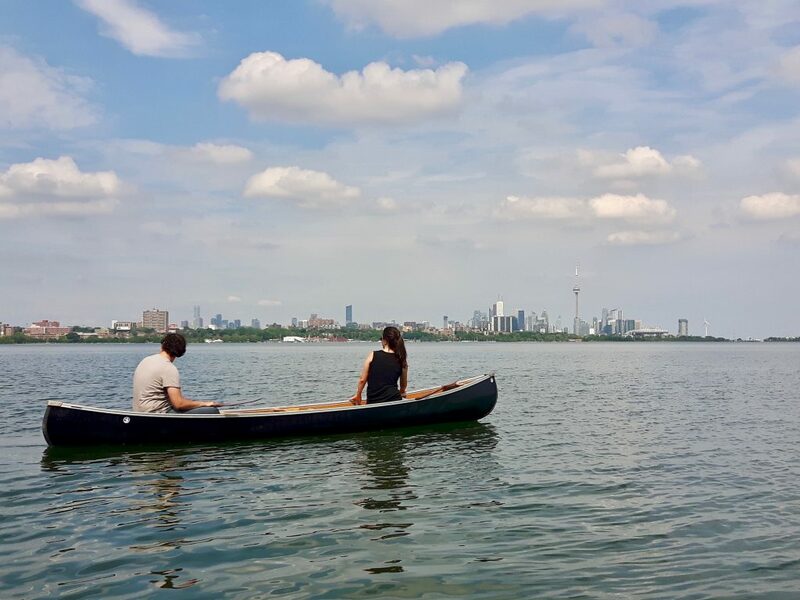 Some of us do not own a car or have time to afford to leave the city, no worries, there are many places that you can go to within big cities to emerge yourself in nature and begin healing your mind and body from the effects of stress. The wonderful transformation that I felt the other day involved some green exercise along the Humber River in Toronto. Toronto is a giant urban city, there is construction everywhere, and it seems that in any open space new development is coming up. 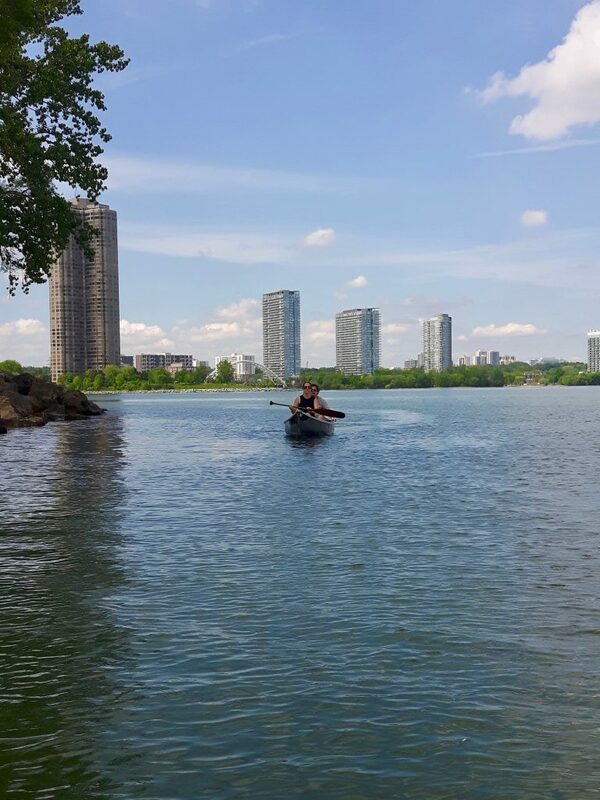 High Park is beautiful and there are many places that you can practise shinrin-yoku, such as by Grenadier Pond or along Spring Road’s ponds. 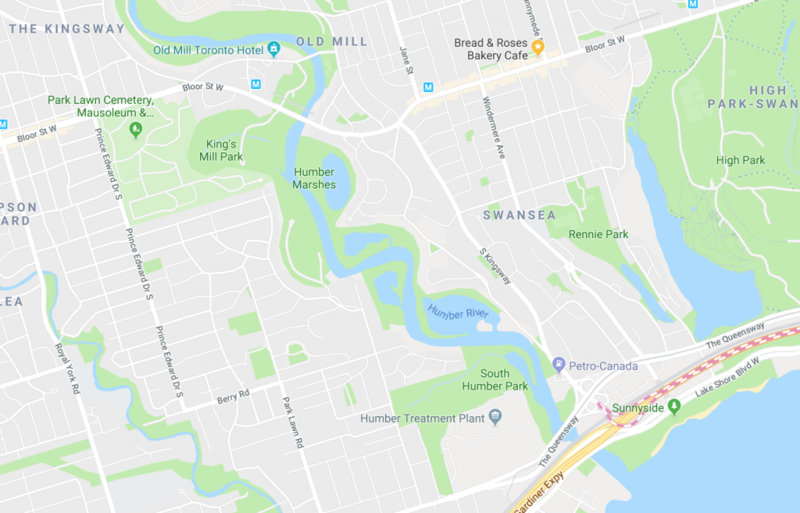 To the west of High Park, you will find the Humber River. Closer to its estuary into Lake Ontario it is quite developed and busy, though you will not get a nicer view of the Toronto skyline anywhere else, especially in the Spring and Summer, the city looks so lush! 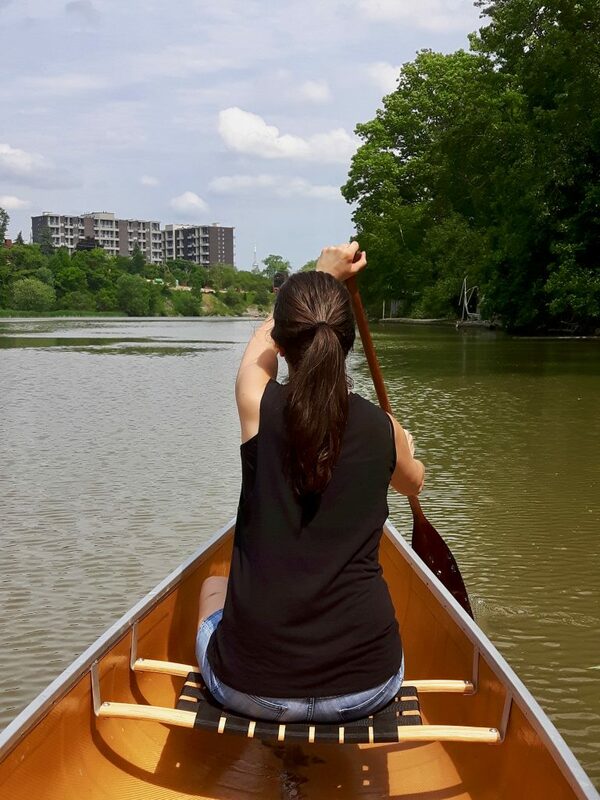 There are wonderful trails that you can take along the Humber River, as well as long bike paths, although, I do recommend canoeing or kayaking. 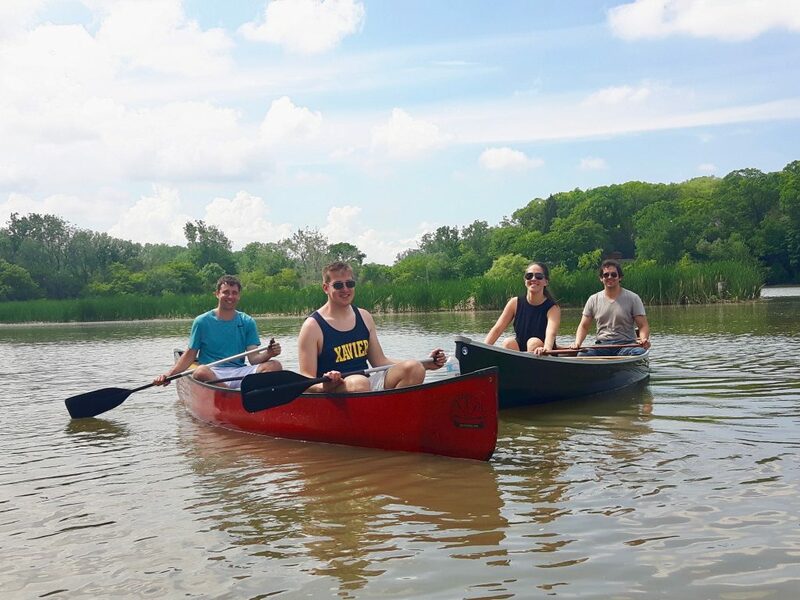 It is a great way to exercise without feeling like you are and you will be able to experience parts of the Humber River that are inaccessible except by boat. It is in these little places of overgrown wilderness, with enormous old trees letting their branches and leaves create a wonderful, peaceful and serene, green passage and the river slowly rolling by that get you to experience the wonderful benefits of being immersed in nature. It is hard to believe that just beyond the wall of trees civilization exists, but you can hardly hear (at times it’s wonderfully quiet) the bustle of the city. During mid to late spring, you have the potential to see Salmon and other fish migrate upstream to lay their eggs, which is a sight not many people now days get to witness, though it is right in our backyard. White and blue herons, muskrats, white-tailed deer, mink and foxes from the comfort of the canoe/kayak. 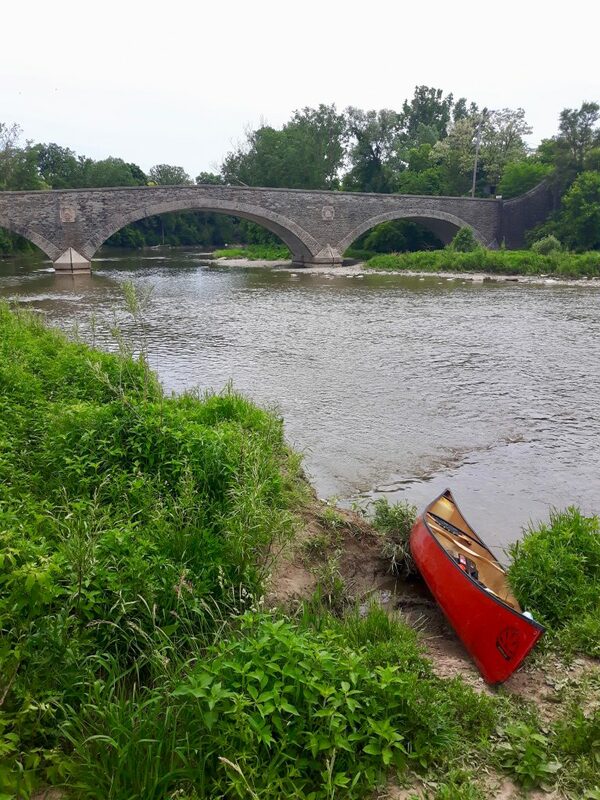 Mississauga and Brampton have the Credit river that I also recommend canoeing or kayaking up, even safely tubing down the river can be done at some parts. I went on the first day of June 2018, with my partner, brother and cousin and we had a wonderful time. 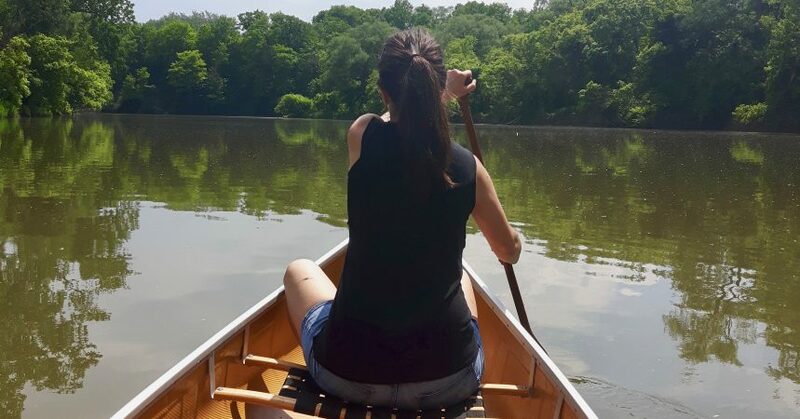 I had not been canoeing for almost two years so it took some time for my muscles to get back into the groove of things, but after a few minutes of practise circles, it came back. 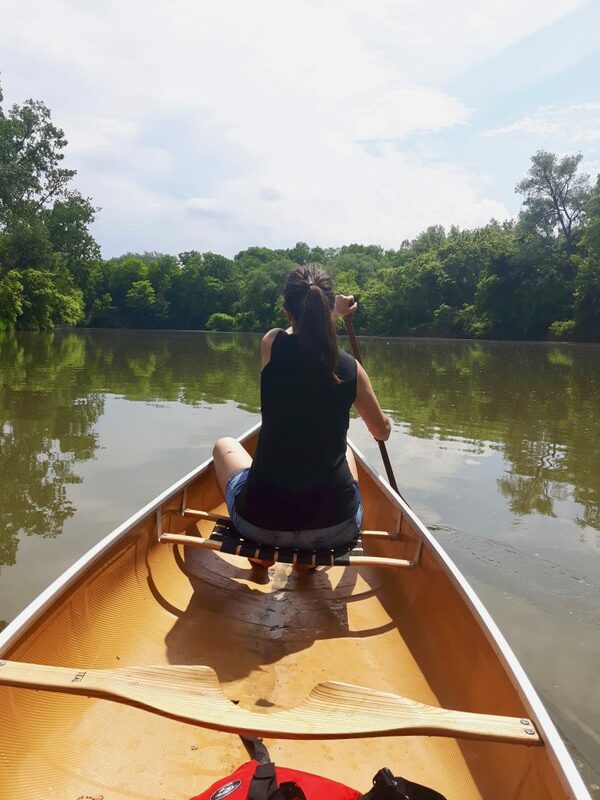 Water is also very healing, that is why I recommend going by canoe or kayak. Another option is to sit on the bank of the Humber and just watch the river roll on by all the while being surrounded by nature. As I had stated previously there are many trails up the Humber as well as many parks, in which the parking is often free. There are tremendous benefits to green exercises, not only is it important for the health of the body and mind to be physically active but breathing in the fresh air is a great way to help with detoxification and lessening the toxic load on the body. Air indoors can be very polluted and although you may not feel it, over time it can lead to greater lethargy and troubles with breathing. Most importantly of such exercise are the benefits for our mental well being. The positive effects of being surrounded by nature, calming your mind and thoughts, exerting your body in a way that it does not seem like real work and having a positive mindset and outlook, you won’t just feel the benefits for one day, those feeling will move with you through the week and propel you to spend more time outdoors. Pretty, J., Griffin, M., Peacock, J., Hine, R., Sellens, M., South, N. (2006). A Countryside for Health and Wellbeing: The Physical and Mental Health Benefits of Green Exercise. Countryside Recreation;United Kingdom.